No evening of fine dining on succulent steak and seafood would be complete without the perfect pairing of food and wine in Atlanta. Review the list for yourself or ask your server for the best wine for your dish. 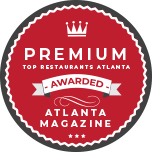 With our selection of steaks and upscale southern cuisine in Atlanta, you will not be disappointed. No evening of fine dining on succulent steak and seafood would be complete without the perfect wine. Cuts Steakhouse knows steak, and we know our reds and whites. Check above for our comprehensive wine list, or ask your server for a recommendation – we’re happy to point out the best wine for your dish. 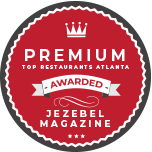 With our selection of steaks and upscale southern food and wine in Atlanta, GA, you’re sure to be satisfied. Not sure which wine is the right choice for your meal? Not to worry; our knowledgeable servers are here to help. Ask your waiter or waitress for their personal recommendations. We’re more than happy to answer any questions you may have! Reds: Red wine and steak have remained an unbeatable duo for hundreds of years. However, with so many reds to choose from, how will you find the perfect match for your meal by the time the waiter comes to take your order? You’ll never go wrong with Cabernet Sauvignon, often called the king of red wines. And, in general, any red with an abundance of tannins is sure to go well with fatty steak. Whites: Most people don’t think of white wine when they visit a steakhouse. However, Cuts Steakhouse offers more than just steak – we also have a healthy variety of seafood, including salmon, tuna, and lobster. Fish tends to be mild, so we recommend gentle white wines that won’t overwhelm the flavors of your meal. Feel free to ask your server for more specific recommendations. Others: Sparkling wine isn’t just for special occasions. The right brut or rosé brings out the tantalizing flavors of your steak and makes your meal truly memorable. In fact, almost any grilled entrée is excellent with a chilled rosé. Turn any evening into a celebration – whether it’s a special event or simply a mouthwatering steak – when you choose a sparkling wine from our menu. Cuts Steakhouse serves up some of the finest Southern food and wine in the city. It’s no wonder, then, that locals love reserving space for their celebrations at our restaurant. From birthdays and graduations to anniversaries and date nights, our guests choose us because they know our wine menu is up to the challenge – and that’s why we carry an excellent selection of sparkling wines, champagnes, and even dessert wines. Contact us at 404.525.3399 to find out more about which food and wine pairings we recommend. Our steakhouse in Atlanta, Georgia, is accepting reservations now.